He looks like he can't believe his luck. A young bull never would have had a name if he hadn't broken free from a slaughterhouse and sprinted through the streets of Brooklyn, New York, this week — but now he's called Shankar, which means "one who brings happiness or prosperity" in Hindi. 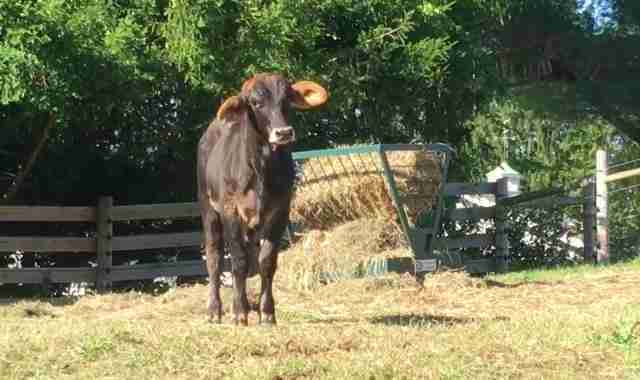 Mike Stura, who runs Skylands Animal Sanctuary and Rescue in New Jersey, rushed to Brooklyn on Tuesday when he heard the young bull was on the loose. "I am, for whatever reason, the go-to guy when it comes to bulls and cows around here," Stura told The Dodo. "I’ve rescued several of them from things like this. When this kind of thing happens I get a million phone calls." 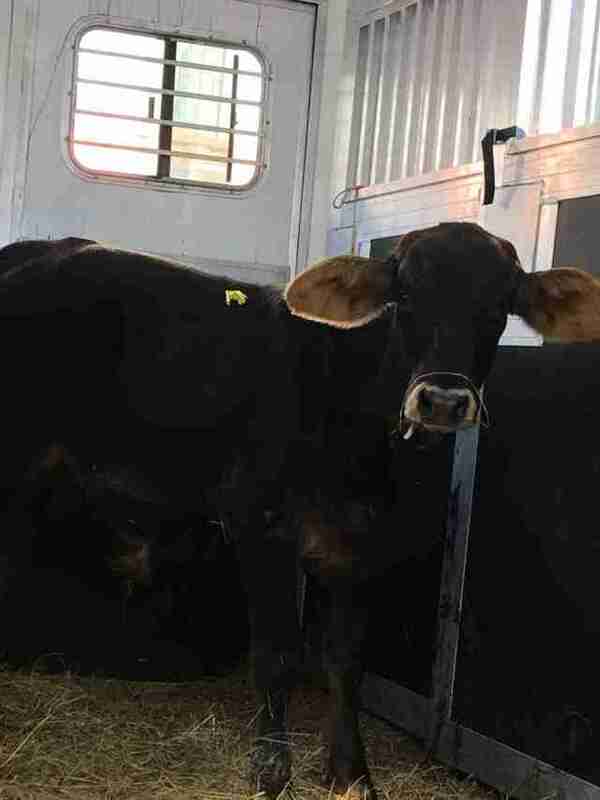 Sometimes the stories don't end so happily — earlier this year, a bull who escaped in Queens, New York, ended up dying during the chase. But this time was different, to the relief of so many spectators who were rooting for the independently minded animal. Stura managed to convince the authorities to release the determined guy into his care. 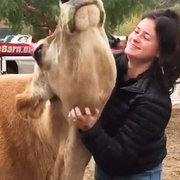 And now he's finally arrived at the sanctuary, where he'll be able to live his whole life happily in open fields with dozens of other rescued bovines like him. A video update on Shankar shows the young bull standing in a brilliantly sunny field, with an almost puzzled expression on his face, as though he can't believe his luck. Stura, filming his new friend, can be heard speaking to Shankar: "Did you sleep good? You're safe now." Even if Shankar doesn't quite believe his incredible luck yet, he seemed to be loving the feel of the warm sun on his back. "A new day and a new life," Skylands wrote on Facebook. "Welcome home, Shankar." To congratulate Shankar on his new life at the sanctuary, you can make a donation to his care.